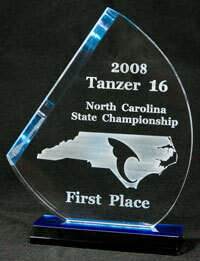 These 1/4" thick acrylic trophies in the shape of a boat's hull have a gold-color border and a black backing that engraves white for a very-high contrast silhouette look. A solid brass post at the base keeps it standing upright. 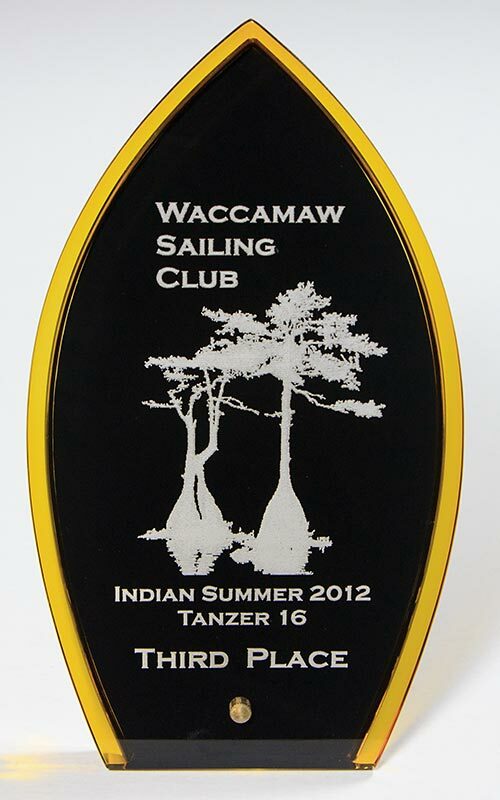 The silhouette trophies come in two sizes, 7" tall, and 8" tall.